This week, Congresswoman Cathy McMorris Rodgers announced that College Place High School Junior, Alex Kjeldgaard, had won the 2017 Congressional Art Competition within the Fifth Congressional District. 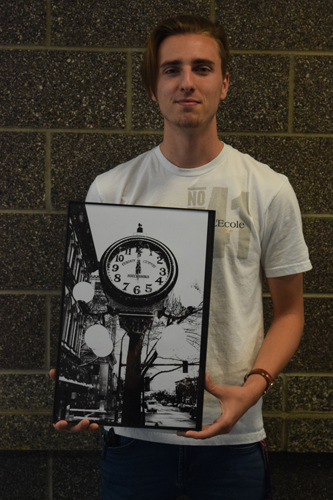 McMorris Rodgers stated that Alex’s piece, “Congelato in tempo”, is a spectacular piece of photography with detail that stands out as well as genuine originality. As the winner of the competition, Alex will receive two airline tickets to Washington DC to attend a ribbon cutting ceremony showcasing his work as it is hung in the US Capitol building. Congratulations, Alex!